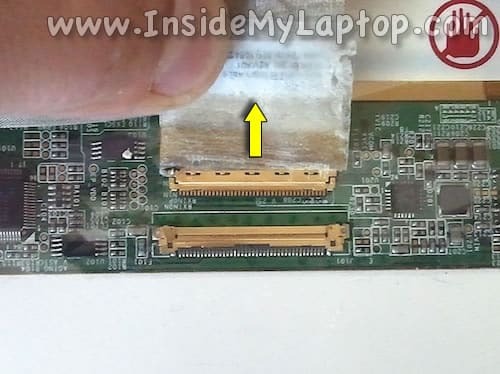 In this guide I show how to remove and replace damaged screen on Dell Inspiron N5010 or M5010. 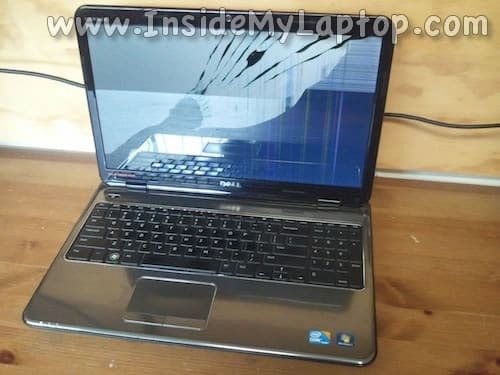 In my case the laptop was dropped and the screen got cracked. First of all, make sure it’s turned off and remove the battery. Insert fingers under the bezel on the top of the display assembly. 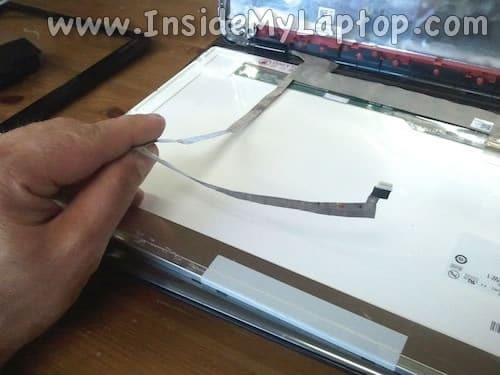 Wiggle the bezel and start separating it from the rest of the display assembly. Continue removing the bezel on both sides and bottom. 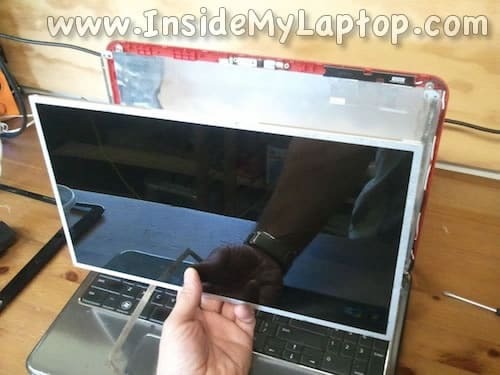 The display bezel has been removed. 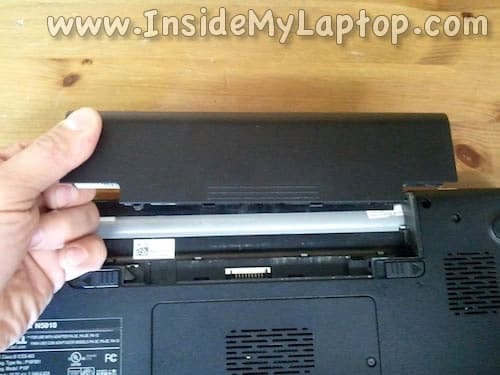 Remove two screws securing the screen to the top of the back cover. Loosen three screws (do not remove completely) on the left hinge. Loosen three more screws on the right hinge. 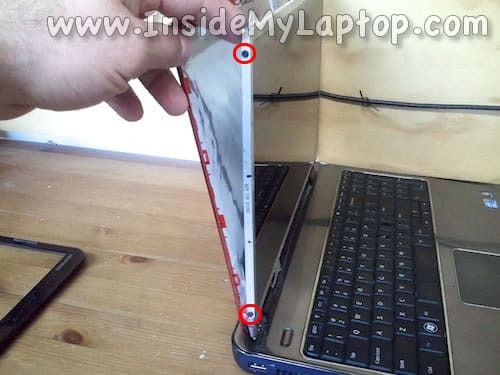 Separate the screen from the back cover a little bit so you can access and disconnect the webcam cable. Unplug the cable from the webcam. 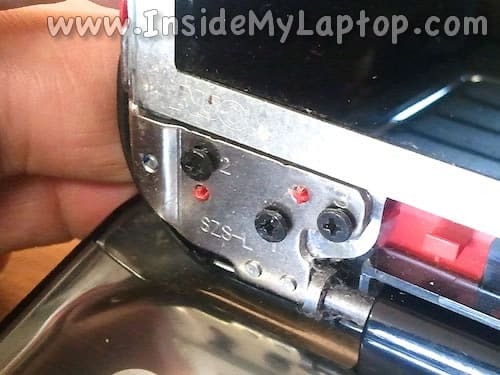 Remove two screws securing the screen to the right mounting bracket. Remove two more screws from the left bracket. 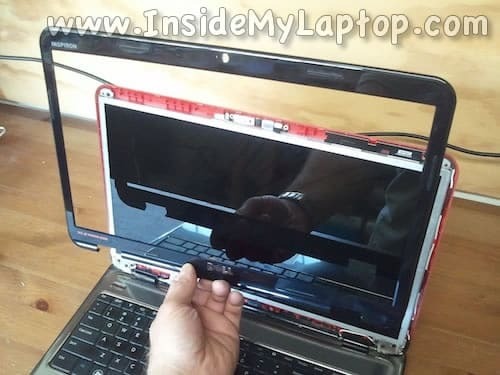 Separate the screen from the back cover and place it on the keyboard. 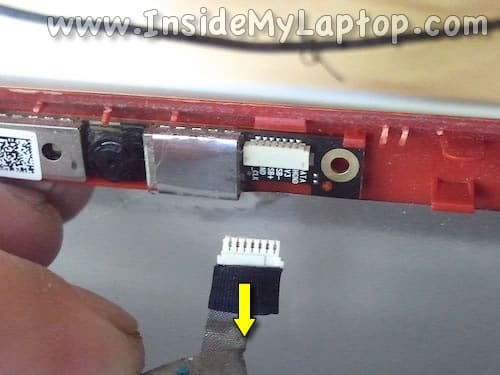 The display cable is glued to the back of the screen. Carefully separate the cable from the back. Remove clear tape securing the connection and unplug the cable. 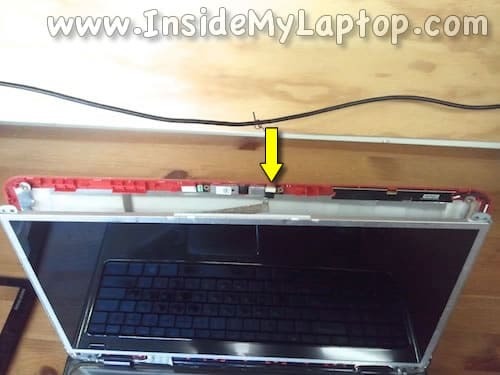 Now you can remove the damaged or failed screen from the laptop and replace it with a new one. Assemble everything back together following all disassembly steps in the reverse order. 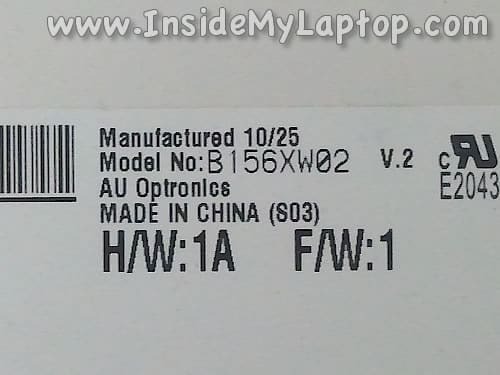 When you search for a new replacement screen you can use the model number from the back of the original part. 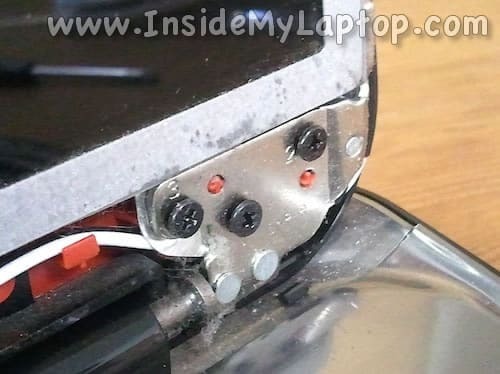 For the keyboard and hard drive removal instructions check out my previous guide. 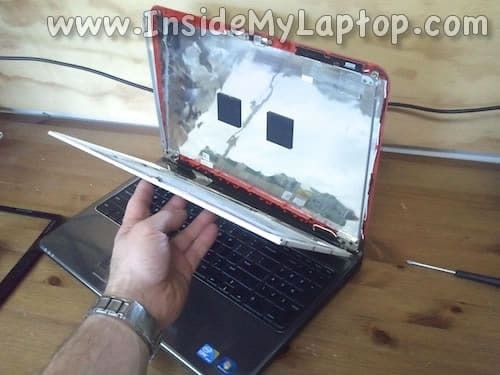 Could you do an entry on how to disassemble this laptop? 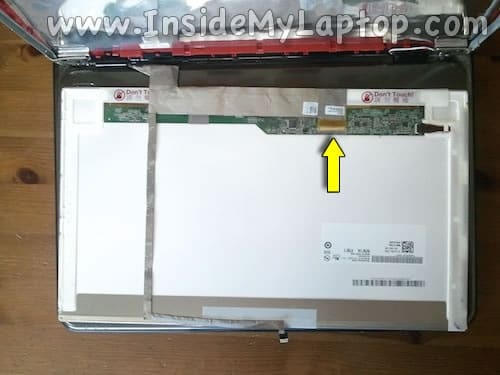 Check out another guide for Inspiron N5010. 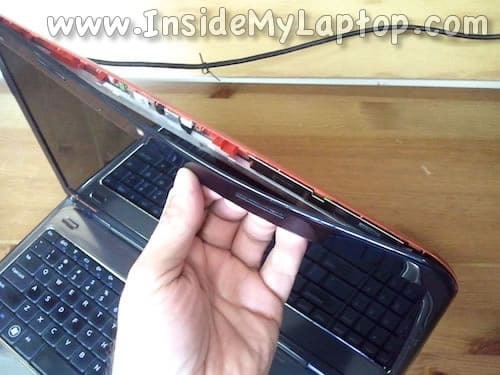 I have a Dell Inspiron N5010 laptop. About a year ago, the screen got damaged by one of the cats. I've worked on desktops but have never worked on a laptop other than RAM. So I took it into the local shop. They charged me almost $140 to change out the screen. 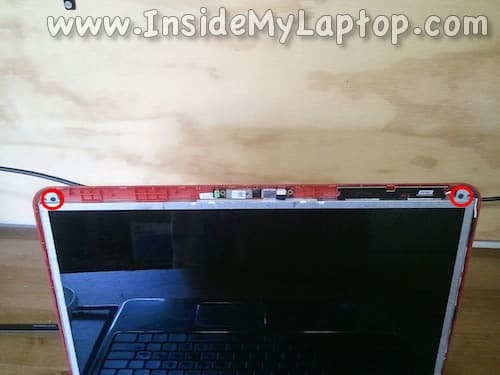 They said it was $89 for the screen from Dell (plus shipping etc) and the rest labor. So when one of the cats knocked it into the floor and broke the screen AGAIN, I was not thrilled. The first time, I wasn't sure what was wrong with it, hence the trip to the shop. This time, I knew. 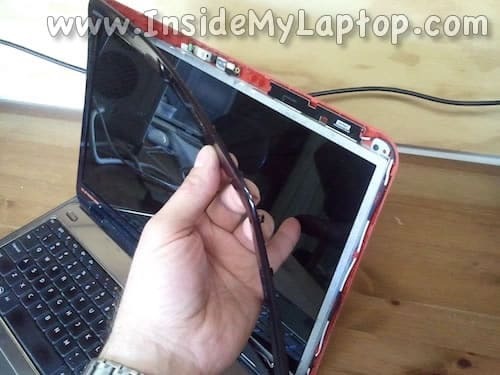 I googled to see how hard it was to replace the screen myself. And I found you! Got the old screen out easily and a new screen on the way. Thank you so much! !